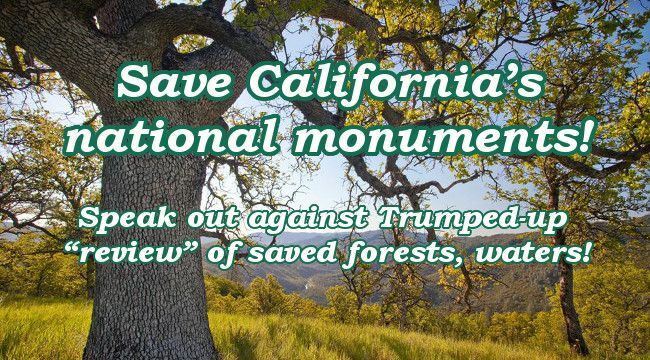 Stop bid to scuttle California's monuments! Seven California national monuments are in the cross hairs of the Trump administration as it seeks to remove protections from public lands and eventually hand them over to local control and industry. These monuments are: Berryessa / Snow Mountain (pictured above), Cascade Siskiyou, Giant Sequoia, San Gabriel Mountains, Carrizo Plain, Mojave Trails, and Sand to Snow. The first four are heavily forested, enhancing their allure to the timber industry as well as their value for biodiversity and watershed protection. The public has a deadline of July 7 to speak out strongly against the phony "review" of recent monument designations now underway by the Interior Department. Take action to safeguard these priceless and duly protected wildlands! These California monuments are among 27 under review nationwide. The product of years of public input and broad-based support, monuments such as these are beloved places that often become national parks. They drive local economic growth in their areas, providing clean recreation and tourism industries, as well as protecting wildlife habitat and ensuring clean air and water supplies. 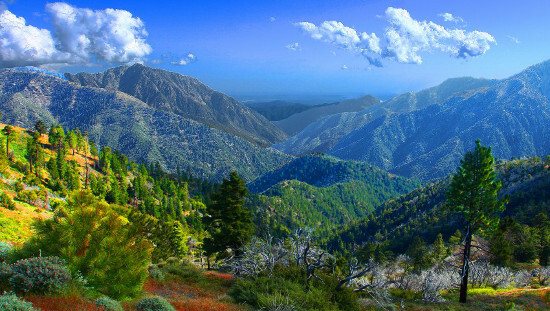 Forests Forever has helped to campaign for the Berryessa / Snow Mountain National Monument, designated by President Barack Obama in 2015, and spent years helping to win designation of the Giant Sequoia National Monument, set aside by President Bill Clinton in 2000. 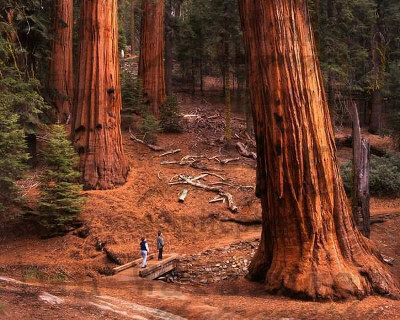 We will not sit idly by and allow these immensely popular and valuable natural areas to once again be subjected to despoliation by timber, mining, motorized recreation, and ranching/grazing industries! Tell Interior Secretary Ryan Zinke that you want our national monuments' protections to continue unabated! Here is a list of all U.S. national monuments. And more information about the Antiquities Act of 1906, now under assault by Republicans in Congress.